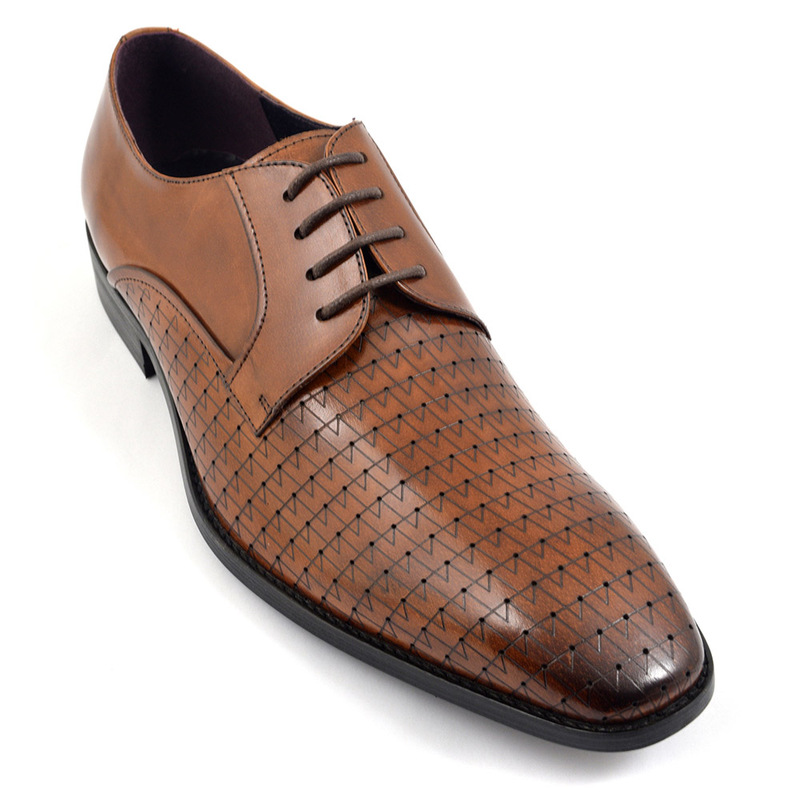 The graphics on this brown derby are super cool and lend a contemporary feel to this shoe. Stand out and be original in this laser cut design which is subtle yet strong. Original brown derby shoes which will have you looking stylish. The geometric angles on this shoe are refreshing to see. 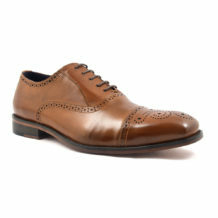 They update a traditional shoe and make it modern, interesting. You can wear these to work with no issues (unless your rules are super strict!). 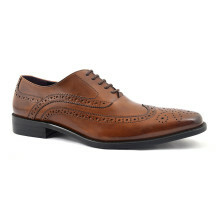 You can wear them with relaxed attire too and really make the look smarter whilst maintaining a stylish persona. You do care, so enjoy these shoes in versatile ways! The essence of the derby shoe is the fastening. The laces have eyelets that they go through and these are located on the flaps of the shoe. This is known as an open system of lacing and define a derby. Other aspects are low ankle cut and low heel. The look used to be very casual but over the years they have seared in popularity and are formal enough to wear in a business environment. Be the first to review “Beso Brown Derby” Click here to cancel reply.